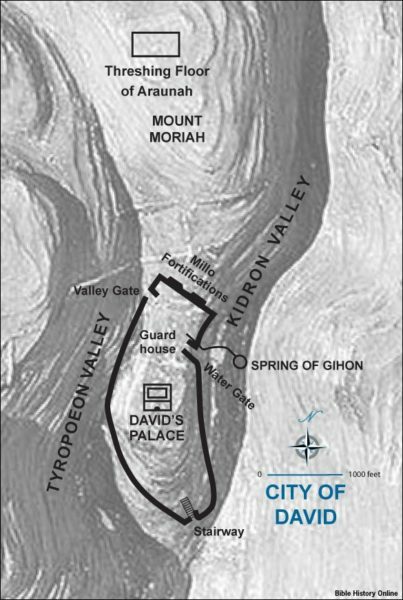 What is the King’s Valley? 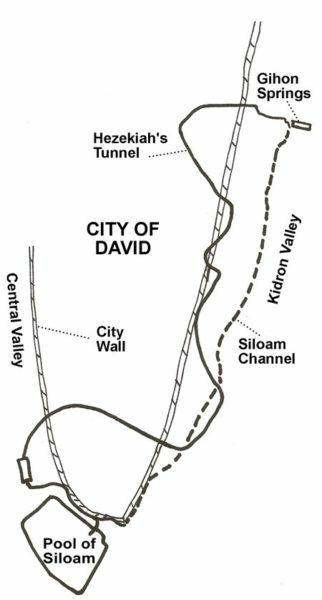 The King’s Valley is located in the Kidron Valley just below the Old City of Jerusalem and well within the region of influence of the ancient kings of Judah… from David, to Solomon, to Hezekiah, and beyond. First built up as a garden by one or more Judean kings of old, today it is surrounded by the Old City, modern Jerusalem and even thousands upon thousands of graves—graves located on the hillside opposite the Old City and placed primarily in anticipation for the Messiah’s return. While, in modern times—even though it is a beautiful addition to the area—this may seem an odd location for a garden. However, in ancient times, it was not so wholly surrounded as it is today. In fact, despite being surrounded today it still holds many of the advantages that it once did, and still harkens back to those long gone. For instance, the King’s Valley has more than adequate access to water; in part due to the Gihon Springs—which Hezekiah later used to bring water to Jerusalem. It is also in an area that, even though in a valley, is not wholly devoid of sunlight; a required feature for many plants to thrive… such as the seven species mentioned in Deut. 8:7-8. Additionally, the garden was located close to the city and palace of the kings of Judah, making it an ideal location for such a kingly garden. Who Built the King’s Valley Garden? While we have no definitive proof as to who built the King’s Valley Garden, there are many reasons to suspect that King Solomon either wholly created the Garden, or at least, was largely responsible for its creation. Firstly, because Solomon’s father, King David, was exceedingly busy with warfare, building a palace, and creating a firmly established kingdom to pass on—almost certainly too busy to add major horticultural pursuits to his schedule. Secondly, Solomon is well known to have a love of things that grow, of God’s creations. Solomon himself says in the Word that he planted vineyards, made gardens, etc. (see Ecclesiastes 2:4-6); he had more than a passing interest in God’s creation… he acted upon his interests. Solomon built many pools and water systems—as would his kingly descendent, Hezekiah—that could have been used to water such a garden. Solomon inherited a kingdom with a decent financial structure that he quickly—due to Godly wisdom—increased (see 1 Kings 4:29-34). Thus, he had more than sufficient finances, to combine with his other qualifications. Finally, while Hezekiah, may possibly be responsible for adding to the garden or even finishing it—should Solomon, for whatever reason, not had sufficient time to do so—he is unlikely to have built it. The garden is known to have existed after Hezekiah’s lifetime (see 2 Kings 25:4, Jeremiah 39:4, and Nehemiah 3:15), yet, Hezekiah, unlike Solomon, had to deal with many threats to Jerusalem, making the crafting of gardens a low priority. These verses in Ecclesiastes speak of Solomon’s love for gardens, yet, they also speak of his general pursuits of crafting them, along with the necessities for their survival. Additionally, throughout his biblical writings, Solomon’s love for growing things and all God’s creation is told again and again, from the verses shown above to the book, Song of Songs/Song of Solomon. In many ways, Solomon’s love of such things is shown more powerfully in the Word than the wisdom given to him by God—if only due to the sheer number of plants and aspects of creation Solomon, and others in regard to him, mention. Because of all this: his interest, his wisdom—even his wealth and living during a time of peace—Solomon certainly had the greatest opportunity to implement his love into the shape of a special garden so near his palace. Thus, while Hezekiah, like Solomon, was well known for his success with water systems; Solomon, with his crafting pools to water gardens and groves, AND the garden being known to exist well before Hezekiah to have implemented not only its creation, but an irrigation system to make the King’s Valley Garden flourish… well, Hezekiah likely had next to nothing to do with the garden. Especially as we consider that the one major water system Hezekiah is known for creating was in preparation for war. Today all these plants are being restored to the King’s Valley. Not only to beautify the city and bring hope… but to prepare for the Second Coming of Messiah; to prepare the way He is foretold to return by! Through the help of people like you, the King’s Valley Garden is returning to life! Furthermore, it is producing life. The plants are bringing forth their harvest. 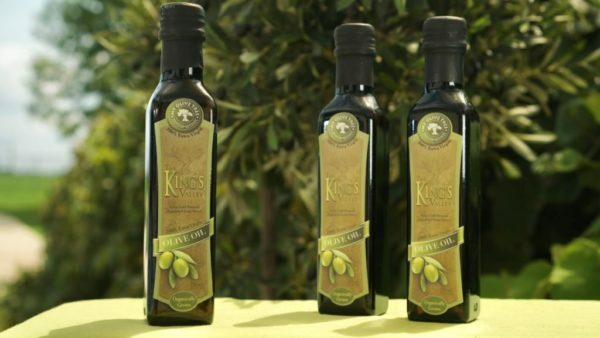 Olive oil is flowing from the King’s Valley once more! God’s City, Jerusalem is indeed showing that it is the city that God has placed His name upon. 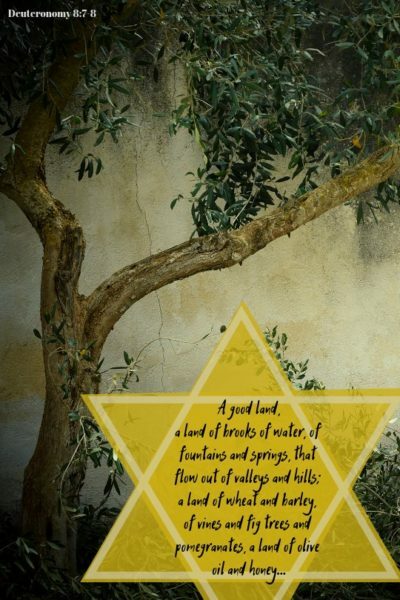 It is once again becoming the “City of Gold” not only in recognition of the way it gleams in the sun, but because of the golden harvest Jerusalem is bearing—the life it is bringing. Let us join together and bring the City of Gold to the place of reconciliation it is meant to be. Let us help make it a light unto the world as we prepare it for our Messiah. As we bring forth biblical prophecy.